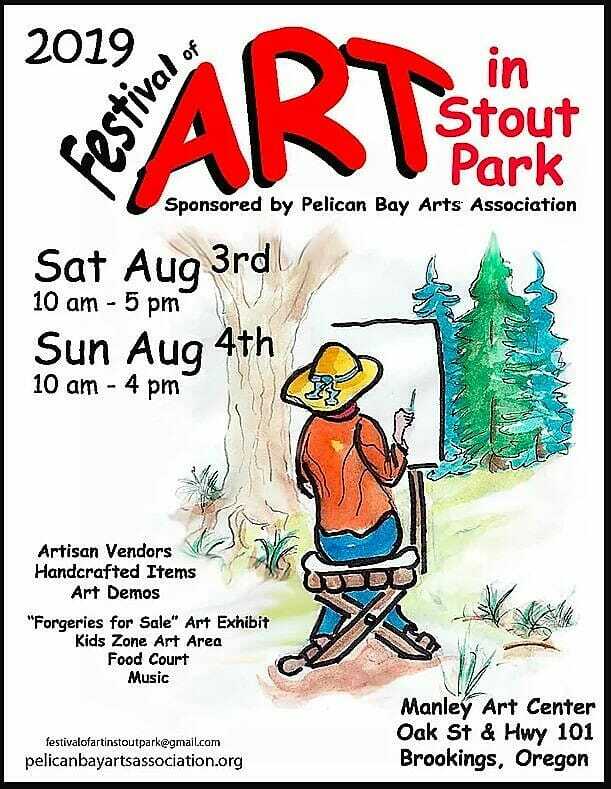 Pelican Bay Arts Association announces that vendor applications are now available for the Festival of Art in Stout Park, a two day annual fine art and craft festival held on August 3 and 4 this year. You can pick up an application at Manley Art Center, 433 Oak Street in Brookings, or print one online at pelicanbayartsassociation.org or wildriverscoastart.com. This annual Festival includes original art works and handcrafted items from artisan vendors, art demos, a “Forgeries for Sale” art exhibit, a kid’s art zone, live music by a variety of local musicians, and a food and beverage court. 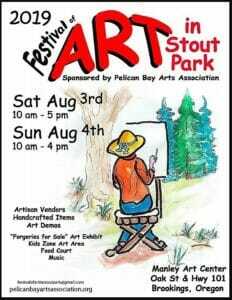 The event is held in Stout Park adjacent to Manley Art Center on Oak Street in Brookings.